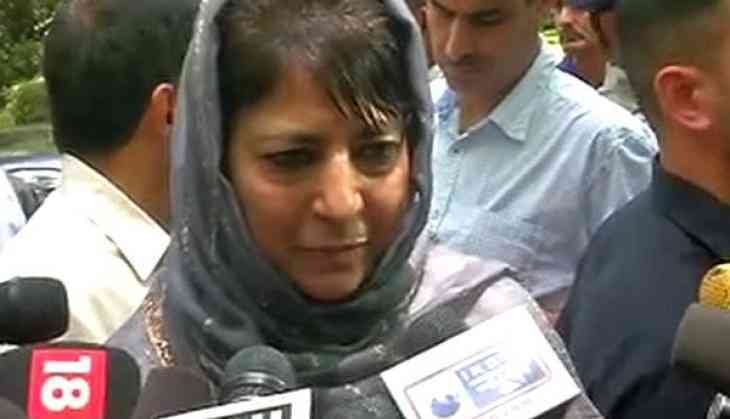 Jammu and Kashmir Chief Minister Mehbooba Mufti on 29 July appealed to the Centre to revive the Lahore Declaration for restoring peace in the Valley. "I appeal Centre to revive Lahore Declaration so that we can live peacefully in Jammu and Kashmir," Mufti said. Meanwhile, the Centre has condemned Mufti's recent statement on the Indian flag where she said that if Kashmir's special status is tampered with, no one will shoulder Indian flag in Valley. "This is the most shocking and ridiculous statement which Mufti has made. Tricolour is sacrosanct to us. It will fly high in Jammu and Kashmir as much as it does in any other state of the Indian Union. Being in power does not make one misuse it!" Minister of State in the Prime Minister's office (MoS PMO) told ANI.